So I don't know if I wrote about this or not, but about my 3rd day in the mission field Elder Hodge and I helped a member wrap up a couch because it was infested with bed bugs. To make a long story short, Elder Diaz and I finally figured out what the red marks on our bodies were! So yeah Tuesday and Wednesday we spent all day cleaning our house to get rid of the bed bugs that we dragged back almost 2 months ago. Now I won't go into how disgusting it was or how bad, but we might have had 8 Elders at our apartment cleaning with us. We got literally no missionary work done those 2 days, but hey cleanliness is next to godliness! And Mom don't worry I'm fine and all is well. The bed bugs are all gone......most of them. We just have to vacuum and spray our apartment down with some poison everyday before we leave! 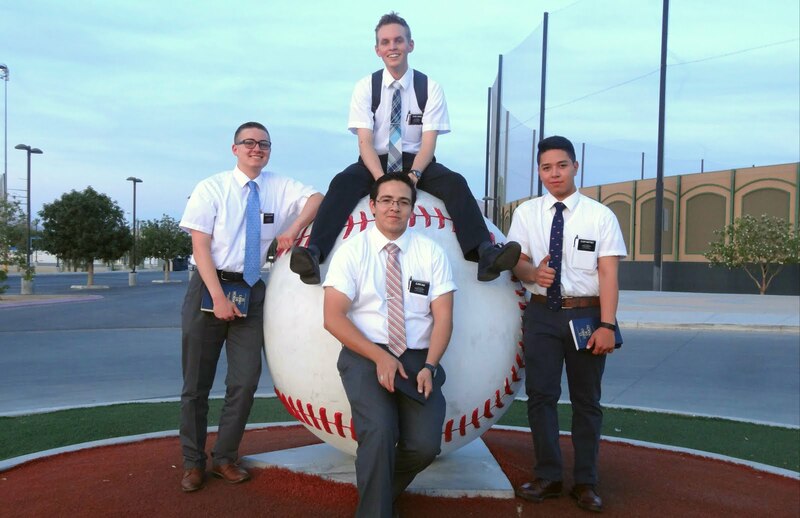 The adventures of a missionary are awesome! Thursday was our last Zone Conference with President Snow. That was pretty sad. We also got free donuts at Krispy Kreme! Saturday and we had a baptism! One of the English Elders was there and he gave his testimony in English and Elder Diaz translated for him. It was so legit! Also some guy gave us carrot juice and it was the nastiest thing I have ever had to do on my mission. He sat there and made sure we drank all of it before I then accidentally spilt some on my favorite tie. That was just a bit of something more to add to the disappointment of having to drink carrot juice. And that was pretty much our week. Bed bugs, carrot juice, and going into the west! Also the picture is of the giant baseball we found last Monday while looking for people in a park.